SAVE A LIFE Corporation, offers a specific medical training course for Adult First Aid training. We can educate your staff on-site or you can attend this course at one of our upcoming scheduled times located around the Twin Cities area. 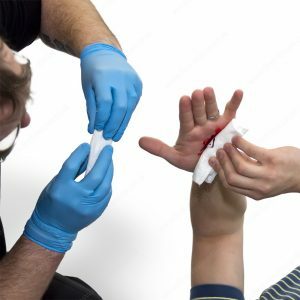 The Emergency Care and Safety Institute First Aid/AHA/Medic First aid training course provides current training in general first aid and Bloodborne Pathogens. The course covers verbal CPR, bleeding, and medical emergencies. Hands-on scenario-based training. Students will receive a 2-year certification upon completion of the course. Certification card and textbook are included in class fee. Intended Audience: Anyone interested in learning basic First Aid. Students Materials: Standard First Aid Student Manual. To acquire the next step towards being properly prepared for a medical emergency, and or receive training, call: 763-576-8146 or Contact Us.